Polished 18kt Everose gold crown. 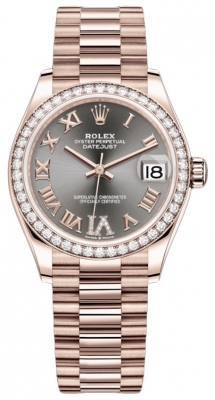 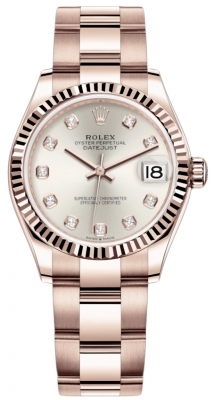 Pink Jubilee dial featuring the ROLEX name repetitively embossed on the dial. 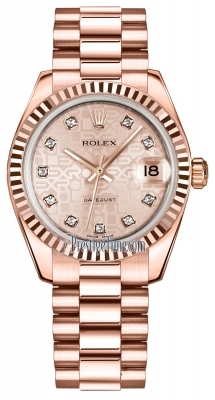 Polished 18kt rose gold hands.